A tangy and tart chocolate inspired by refreshing summer cocktails. Mom doesn't have a favourite (but she might if you give her this). Thank your mom (or grandma or auntie or anyone you love like a mother). 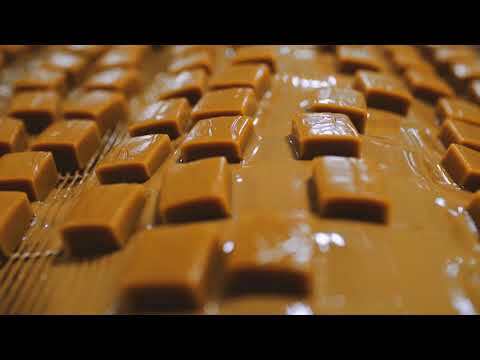 See how your favourite chocolates are made. While we wait for Smell-O-Vision to become a thing, this video is best watched with a box of Purdys next to you. We craft all your favourites at our Factory Kitchen in Vancouver, Canada—the city where our original chocolatier Richard Carmon Purdy opened the first Purdys shop. We use only top-notch ingredients like Canadian dairy, crunchy nuts that are roasted in-house and 100% sustainable cocoa. Also in the video, spot Purdys CEO Karen Flavelle enjoying a bite of her favourite, Peanut Butter Fingers. And you might want to make two batches. Trust us, it makes sharing easier! Some days you just need cake. And not just any cake ‒ rich, decadent, vegan cake! Best served with ice cream while it’s still warm. Best enjoyed for breakfast in bed. English Toffee lovers, fast forward to summer with this easy peasy recipe. Pretty please with a Hedgehog on top! You’re just 2 minutes away from enjoying this. Every purchase you make helps improve the lives of cocoa farmers in rural communities. We started out in Vancouver and it's where we still craft all your favourite chocolates today. Your gifts will arrive in perfect condition (as if you'd delivered them yourself).